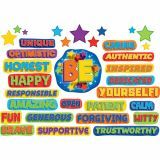 Teach and encourage positive behaviors and responsibility in your classroom with a 30 piece Mini Bulletin Board Set. 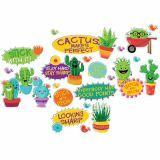 Set includes: 8 Motivational Headers (ranging in size from 5 5/8" x 5" to 13" x 6"), 9 Cactus Characters (ranging in size from approximately 4 1/4" x 8 1/2" to 6" x 10 3/4") and 13 Various Flower and Bird Die-Cut Pieces (ranging in size from 2 3/8" x 1 5/8" to 3 1/4" x 3 1/4"). 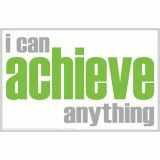 Inspired Mind Posters are a powerful tool to spark thinking with confidence, hopefulness and cheerfulness. 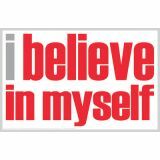 With daily reminders, this positive assurance or self-belief will activate the mind, heart, and soul – resulting in personal and professional success. Beautiful posters printed on gloss paper.